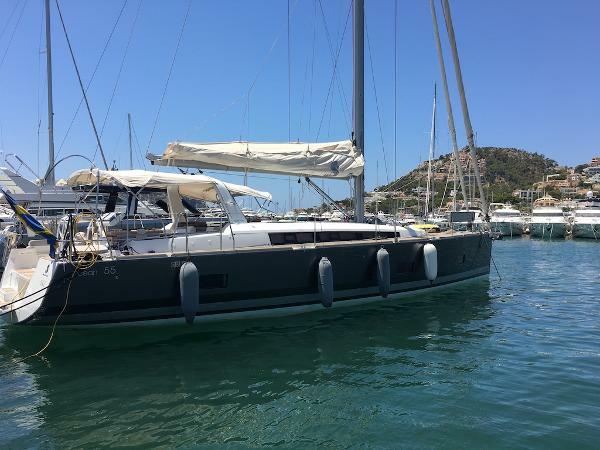 This is an exceptional Beneteau Oceanis 55 with a very high spec in all areas and in immaculate condition. PRICE REDUCED TO SELL! Purchased and delivered new in 2014 and launched in 2015, 'NOF2' has been privately owned since new and maintained to the highest of standards - winterised each year, never chartered and immaculately cared for. The owner is now moving to a motorboat over sailing. 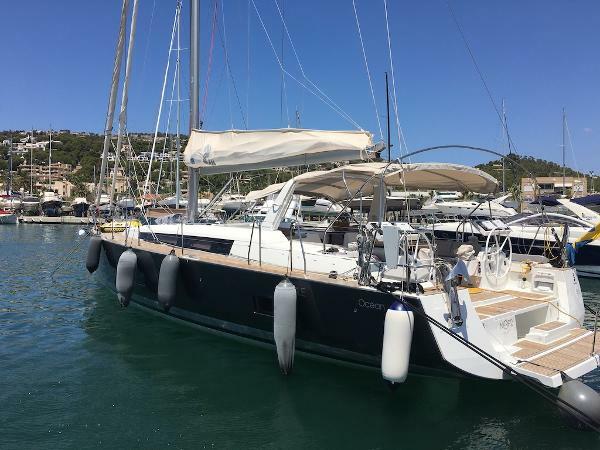 This is a very well-balanced yacht when she sails, perfect and very comfortable for island or long-distance cruising. Easy to berth with a 'Dock & Go' system, very light on the wheel, all lines easy to manage from the cockpit, electric primary and secondary winches (x3) main and lazy jacks/stays for dropping main neatly to sail bag. 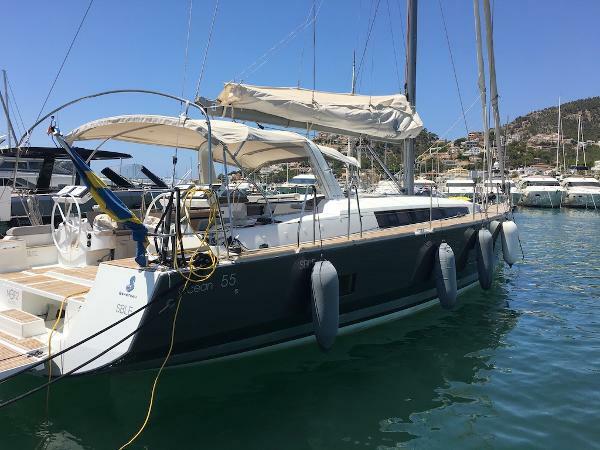 With additionally spec'd Stem 'skipper' cabin and Bunk cabin for two on the starboard side this really does make 'NOF2' an extremely practical for larger families and friends as well as pure joy to sail. She is extremely well-equipped with air conditioning, TV/Sat in main saloon area, Fushion sound system throughout among many other additional spec items. 'NOF2' is currently based in south west Mallorca and available immediate for viewings.